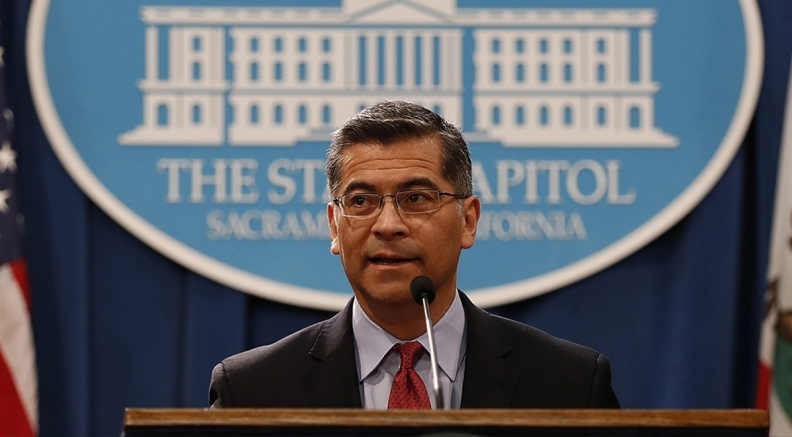 California Attorney General Xavier Becerra is spearheading the defense of the Affordable Care Act. Democratic state attorneys general on Thursday appealed a federal judge's ruling that the Affordable Care Act is unconstitutional. The 17 top state lawyers filed a notice of appeal with U.S. District Judge Reed O'Connor in Texas, paving the way for the 5th U.S. Circuit Court of Appeals in Louisiana to weigh in on the case. They stepped in to defend the ACA after the Trump administration declined to do so. O'Connor gave the Democratic attorneys general the green light to start the appeal in the waning hours of 2018 when he certified his partial decision. He also granted a stay for his ruling so the Affordable Care Act will remain in place as the case moves through the appeals process. Democratic attorneys general called O'Connor's original decision "flimsy," "legally flawed," "breathtaking" and "ludicrous" in a call with reporters led by California Attorney General Xavier Becerra who has spearheaded the defense of the law. O'Connor ruled that the ACA's individual mandate could not be separated from the rest of the law, and the mandate cannot stand without a financial penalty. He emphasized this point again earlier this week when he finalized his decision. "If the judicial power encompasses ignoring unambiguous enacted text—the text citizens read to know what their representatives have done—to approximate what a judge believes Congress meant to do, but did not, then policymaking lies in the hands of unelected judges and Congress may transfer politically unwinnable issues to the bench," O'Connor wrote. "This the Constitution does not allow. This the Supreme Court does not allow." Colorado Attorney General-Elect Phil Weiser pushed back, arguing that the statute did not need to include a severability clause. "The issue is whether if one piece of the law goes down if the entire law goes down," Weiser said. "All Congress did was to reduce the tax penalty." Becerra said he hoped the Fifth Circuit would decide the case within a year. The Democrat attorneys general noted that they are focused on a win in the appellate court and said it's unclear whether the U.S. Supreme Court would even hear the case if the Fifth Circuit overrule O'Connor's decision.